Hike for one day or for two weeks; either way, there’s a trail near Nantahala that’s perfect for you. When hiking in densely forested areas, a trail comes in handy not just as a natural map, but also as a clear pathway. Get a trail map or do extensive research on the trail you plan to take while you’re at the lake so that you know what to expect, the duration of the hike, and the expertise needed to navigate it. Even while taking a short hike in the area, you may want to have a bottle of water with you or a quick snack. On longer hiking ventures, make sure you have the correct over night gear, provisions, and equipment to handle the weather, trail, and situations you may encounter. One of the reasons that people choose to purchase real estate in NC with a lake view of Lake Nantahala is the pristine, clear nature of the water. From the docks to the deep, you can see clearly down to the bottom of the lake, as far as the sun can reach, until it’s too deep to see further. This clarity is in part due to the cleanliness of the lake, and the respect people have for the water and the land around it. When hiking, dispose of wrappers and trash appropriately, follow the trail guidelines for pet waste, and be conscious of noise and behavior around neighboring hikers. Planning a weekend trip or a full out hiking excursion near the lake? 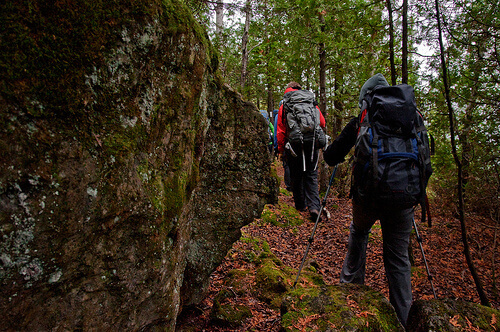 Get more details and hiking how-to’s from The Appalachian Trail Conservancy. Have a trail you love in the area? Tell us about it in our comments section.